To generate sales you need more than just an online store. You need to know how to market your business to generate revenue. These seven tactics can help boost profit for your online business. Spending money on paid advertising can be a powerful way to reach your target audience and quickly generate sales for your eCommerce store. If you are new to paid advertising, you might think that it is expensive. You may have heard some stories of people putting lots of money in paid traffic only to see minimal to no return on investment (ROI). But if done properly paid traffic can be affordable, and once you have the winning campaign at hand it can really take your business to the next level. Experiment carefully with ad campaigns and be sure to A/B test as much as you need until you get it right. Usually it’s good practice to run multiple small budget campaigns and see which one performs the best. Once you have a winning campaign, you can press ahead and increase your paid campaign budget. It’s no news that Google owns the lion’s share of the search engine market, which makes Google Adwords one of the most attractive options for reaching out to the right target audience. Adwords is built around the cost-per-click (CPC) marketing concept and offers various text, image and video based ad campaigns. 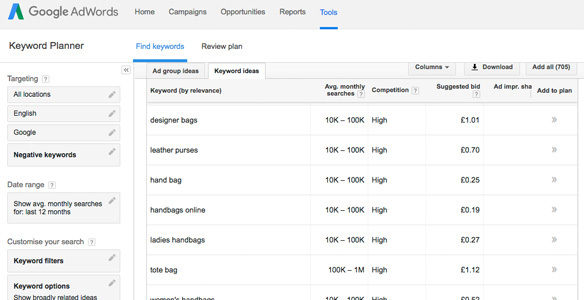 It works on an auction model method where you bid on keywords that you’d like to qualify for in the Google search. You can create highly efficient ads with a mix of demographic, audience and keyword combinations to reach your desired customers. This advertising tactic lets you get very specific as to whom the ads are displayed to, making your marketing spend cost effective. With its 2 billion monthly users Facebook has evolved to be one of the most effective social platforms, which offers targeted paid traffic. Most decent online marketers wouldn’t pass up on the opportunity. 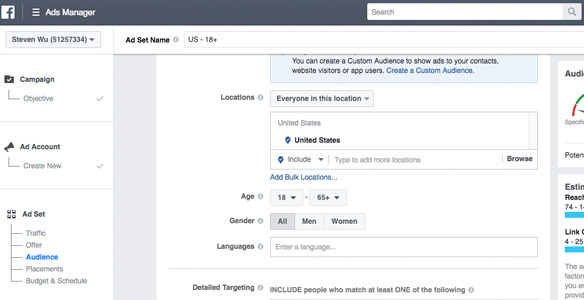 Unlike Adwords, Facebook allows targeting based on user interests and attributes like age, gender, location and behaviour. What makes this platform particularly effective is the fact that most of us use it regularly and everything we like, share or post could be targeted by marketers like you. Not only that, you can create what is called a Custom Audience and target individuals similar to the ones who have already purchased your product, making your campaigns super targeted. 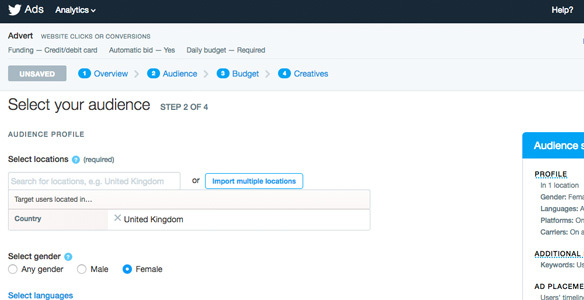 Twitter advertising is a great option to drive relevant, qualified leads to your website. At times it could get expensive trying to run a campaign for a highly competitive market. However, experimenting with Twitter and fine-tuning your campaigns will give you a competitive edge. On Twitter, you can promote your brand through product samples (if appropriate) or generate leads by offering discounts and coupon codes. You will be surprised how well people respond to these value offerings on Twitter. It is worth mentioning that the success of your paid campaigns will depend heavily on your knowledge of your customers, regardless of the advertising platform. The better you know your target audience, the more effective your campaigns will be. If customers are committed to buying your product, your job is to make the checkout process as simple as possible. You may want to consider providing a guest checkout option without the need for shoppers to register with your site. A good practice is to utilize the one step checkout option by removing the number of steps from the usual checkout process by consolidating all the input fields onto one page. Try adding some features that will help to automate parts of the filling out stage. For instance, have a postcode lookup feature that will include a drop-down menu where the shopper can pick an appropriate address. By shifting the workload from the customer and letting your database fill in the blanks you will save your customers a lot of time and effort. 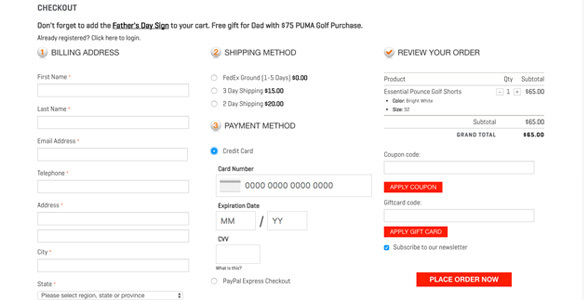 Cart abandonment has become a headache for many online retailers in recent years. Cart abandonment is when a customer abandons their shopping cart prior to completing their order. 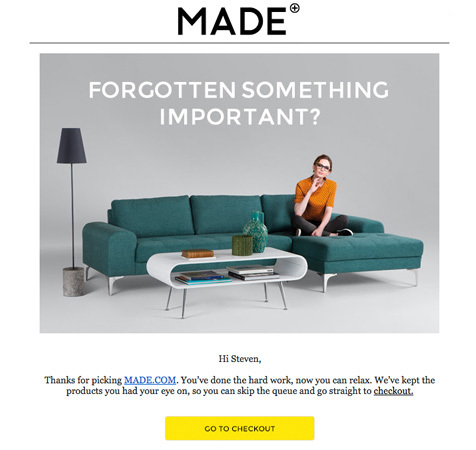 An automated email can be sent out to remind the customer to return to complete their order. Offering free shipping and/or discounts nudges them in the right direction. Another method is social media retargeting. Social media retargeting is when a new customer comes to your store and the site drops an anonymous browser cookie. Later, when your customers surf the web, such as Facebook, the cookie will let your retargeting provider know when to display your branded ads. Your ads are served only to people who have previously visited your site, encouraging them to return. Email marketing is a traditional strategy that performs exceptionally well. Email marketing is a form of communication to customers offering discounts, showing off new collections or promoting a limited sales offer. Pay attention to subject lines and even use A/B testing to guide you to find the perfect subject heading. Your funnel, open rates, click rates and most importantly conversions, is what matters the most at the end of the day. Capitalise on the tactics, subject lines, email types and segments that work and discard the ones that don’t. Capturing more email addresses allows you to send out email newsletters and promotions to potential customers or returning customers. 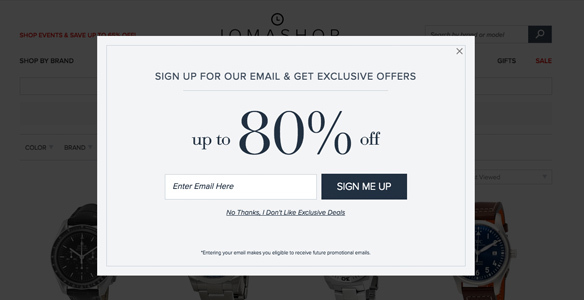 A popular method is to implement an email subscription form that can be displayed on a website, or through an engaging popup. This allows customers to enter their email address to receive promotions and newsletters. 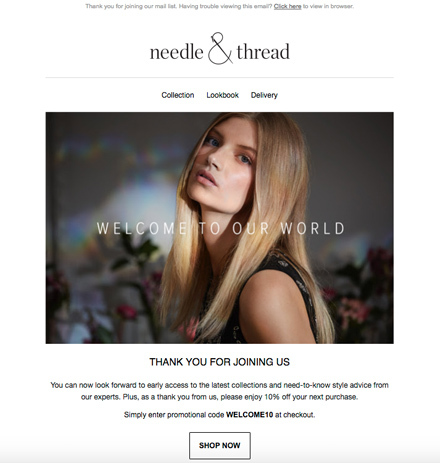 A further strategy to capture customers’ email address is to have a checkbox at the checkout or registration form to confirm they would like to subscribe to your newsletters. And finally, you can increase your email subscribers list by creating a giveaway and promoting it through social media. By directing customers to your giveaway page, you can request that they enter their email address to receive the opportunity. Upsells and cross-sells are product suggestions and alternative options that customers may also be interested in. Upsells and cross-sells are effective in boosting sales. Identify your customer’s product interests by analyzing their browsing and purchase history and wish-list. Diving deep into your customer’s behaviour should give you a good idea of what to promote and how to segment your customer’s personalised experience. 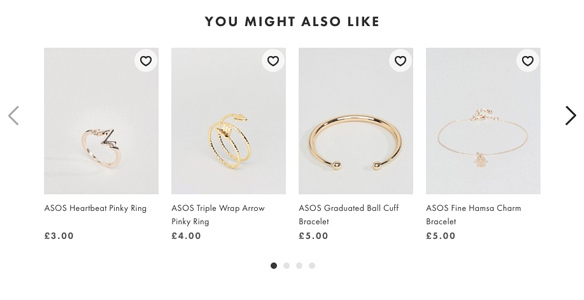 There are various opportunities on the website, such as the product page, homepage and basket page to have “You might also like”, or “Frequently bought” suggestions. This will provide customers with more relevant choices. Most agree that word-of-mouth marketing is powerful, even when it has been replaced by online reviews. According to Brightlocal survey, 88% of shoppers trust online reviews just as much as personal recommendations. People rely on the words of those who have already purchased a product and can give their personal experience. Simply ask for reviews, whether it be through email campaign or pop-ups and aim at making it easy for customers to leave a review. 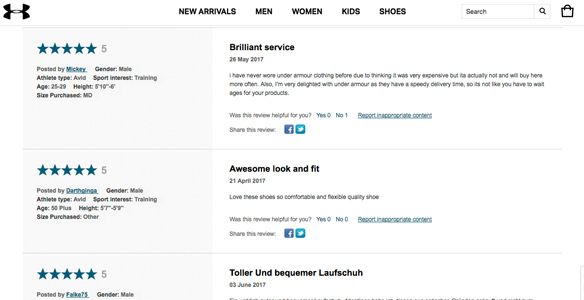 By showing reviews relating to your products you’ll be able to provide social proof as to how good your products really are. Positive reviews will definitely level up trust with your customers and give you a boost in sales. Comment below and tell us what tactics have personally worked for you when it comes to boosting eCommerce sales. If you need advice or support on the above tactics, please get in touch and we’ll be happy to help.